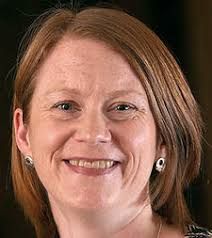 Shirley-Anne Somerville, MSP for Dunfermline, has welcomed the opening of a Changing Places bathroom at the popular Carnegie Library and Galleries. The MSP received a letter from Fife Cultural Trust, revealing that the facility will open this week. It will cater for people with profound and multiple learning disabilities, as well as those with other physical disabilities such as spinal injuries, muscular dystrophy and multiple sclerosis who often need extra equipment and space to allow them to use the bathroom safely and comfortably. The decision will be welcomed by Carnegie Library’s many customers and visitors. Carers, in particular, will now have access to a vital facility right in the heart of Dunfermline, with easy access to the high street. Previously, the only other town centre Changing Places bathroom was at Carnegie Leisure Centre, which boasts both wet and dry changing areas. “The type of disabled toilets we are now so used to seeing are frankly of little use to many disabled people, who because of their disability are forced to lie on the floor in such places. That is both degrading and unhygienic for them and their carers. I’ve had constituents telling me that without adequate facilities, they are forced to change children and adults in the backs of cars, and even time their visits to the town centre so that they can quickly go home if required. “That’s why Changing Places toilets are absolutely vital. They provide dignity to those who require to use them. It’s fantastic, therefore, that the Carnegie Library has followed in the footsteps of Carnegie Leisure Centre, by opening a Changing Places facility. “The majority of Dunfermline’s Changing Places are on the outskirts of town, at locations such as Queen Margaret Hospital and Duloch Leisure Centre. Whilst those facilities are vital given their location, I think that Changing Places availability in the town centre has been lacking. That is why I’m pleased to see the new facility open at Carnegie Library as early as this week. “Moving forward, there is still more to be done to make Dunfermline Town Centre a truly welcoming place for all. That’s why I’ll be meeting with Changing Places campaign organisation, PAMIS, to discuss in detail how we can make Dunfermline known as a Changing Places location.”. “We are delighted that Carnegie Library and Galleries has taken such an inclusive step and opened a changing places toilet. This facility in such a central location, but also within a cultural centre, will make a huge difference to opening up activities for people who are so often excluded from their communities. It will also provide an opportunity for the whole family to enjoy the great programmes offered at the galleries. I am sure that news will travel quickly and once on the changing places toilet map it will attract visitors from across Scotland.”.